UNSC is one of the six principal organs of the United Nations.It works toward maintaining international peace and security.Its powers include establishment of peacekeeping operations, and international sanctions. UNSC reforms encompasses five key issues. These are-Categories of membership & question of the veto held by the five permanent members,Regional representation, size of an enlarged Council and its working methods,Security Council-General Assembly relationship. 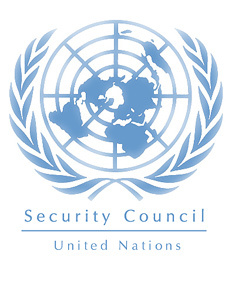 The UNSC reform has been on the agenda of the UN since 1993. It still reflects the geopolitical architecture of the Second World War and expanded only once in 1963 to add 4 non permanent.Since then the membership of the United Nations has increased from 113 to 193 without any change in the composition of the UNSC. There is no permanent member from Africa, despite 75% of work of the UNSC focused on Africa. Alongwith all these it is also unable to respond effectively to situations of international conflicts. India, since long, has been demanding expansion of UNSC and its inclusion as permanent member in it.India is also pursuing the matter through bilateral channels with our interlocutors. A large number of countries have supported India’s initiatives for reform of the UNSC as well as endorsed its candidature for permanent membership. Along with India, other candidates making similar demands are Brazil, Germany and Japan.All G4 nations. The United Kingdom, France and Russia support G-4 membership in the UNSC. 1- India was among the founding members of United Nations. 2- It has been a member of UNSC for 7 terms and a member of G-77 and G-4, so permanent membership is a logical extension. 3- It is the second largest and a one of the largest constant contributor of troops to United Nations Peacekeeping missions. 4- Today, India has over 8,500 peacekeepers in the field, more than twice as many as the UN’s five big powers combined. 5- India, largest liberal democracy is home to world’s second largest population. 6- It is also the world’s tenth largest economy by nominal GDP and third largest by purchasing power parity. 7- India is only country from G-4 which is backed by all permanent members on the issue.